Newcastle Falcons have re-signed versatile forward Evan Olmstead for the remainder of the campaign, following a spell in New Zealand with Auckland. 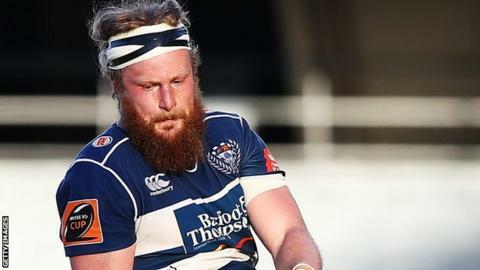 Olmstead, 28, left Newcastle at the end of last season and, after playing Mitre 10 Cup rugby for the Auckland province, has returned to the Premiership. The Canada international played 28 games across two seasons for Falcons. "Evan offers us athleticism and aggression around the park," director of rugby Dean Richards said. "He is a good line-out option who can play at lock or in the back row and he understands the way we want to play the game."